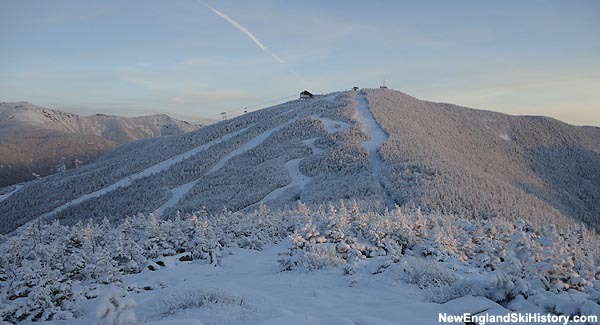 Located in Franconia Notch State Park, Cannon Mountain is one of the oldest ski areas in New England. New and improved trails could debut this winter. Deficits, debts, overruns, and resignations have emerged from the ski area's expansion project. Two of the three aerial lift installations started in 2016 have yet to be formally opened. The long awaited Mittersill Project Celebration has been relocated as a result. Lift installations could rebound in 2017 with projects rumored in 4 states. Two chairlifts are currently being installed. New surface lift will serve a semi-private racing slope. State run Cannon Mountain's management supported the elimination of free senior skiing.